It’s all about money when when it comes to having a landline in your house and also having a cell phone. New Jersey came out on the bottom of the list when researchers studied how many people go without a wired phone in their home and solely rely on their cell phones for voice communication. Poorer states like Arkansas and Mississippi were found to have the highest percentage of people who have a cell phone and no hard-wired home phone. Not being able to afford the bills for both phone services was the top answer for why survey-takers only had cell phones. Ten states had at least 30 percent of their residents who rely on cell service only. Most of those states are in the western part of the country: Arkansas, Mississippi, Colorado, Idaho, Kentucky, Nebraska, North Dakota, Oklahoma, Oregon and Texas. So, is New Jersey just traditional or are we stupid money-wasters? Researchers think maybe some of both options. They say that the five of the six states that have the lowest cell-only numbers are in the eastern part of the country and are states that tend to have higher incomes and older residents who just can’t imagine not having that landline. So, we’re both traditional (read: old) and rich enough to pay two bills for the same service. 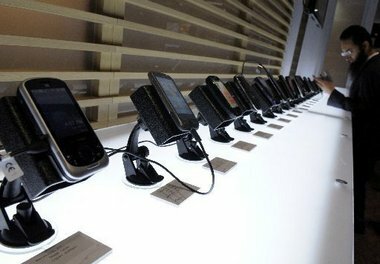 Read more from NJ.com, here: N.J., Rhode Island have smallest percentage of people who have a cell phone but no landline, survey finds | NJ.com.